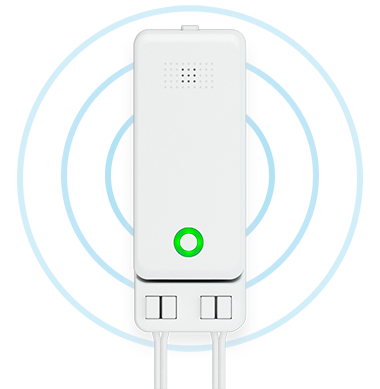 Water Sensor 6 protects your home from leaks and floods in the easiest of ways. You place it down, set it, and forget it. Dock is a pro-tool that dramatically enhances the most important features of Water Sensor 6. With Dock and Water Sensor 6 combined, your home is protected by the most advanced Z-Wave flood sensor available. Connect 1 or 2 of the provided spot sensors to Dock to monitor for leaks up to 1 metre away from Water Sensor 6.